The days have gotten shorter, and long, cold nights are ahead. It seems we go to work or school when it’s dark and by the time we get home from our workday or after-school activities, it’s dark again. The short days of winter can bring a change in mood, and there are some things we need to watch for in our children. Seasonal affective disorder – appropriately referred to as SAD – affects millions of adults each year. The lack of sunlight and long nights can make even the most positive person a little down in the dumps. And studies are now showing that more and more kids and teens are displaying symptoms of the disorder. Our fast-paced lives and endless list of activities and responsibilities can add stress at any age, and the inability to get outside and play can have a real effect on kids. Late fall after the end of daylight savings time is when symptoms can begin. While we may joke about craving comfort foods and packing on some winter weight, this is actually a side effect of not getting enough sunlight. Although UV light can be harmful if we are exposed to too much of it (think of that summer sunburn), some wavelengths of UV light increase the endorphins in our brain that trigger feelings of pleasure and contentment. So, obviously, our moods are often better and our energy levels higher on bright, sunny days. For kids, it may be difficult to differentiate between SAD and the common moodiness of older kids and teens. But if you notice a real change in them in the fall and winter, it may be seasonal affective disorder. Symptoms include craving carbs and weight gain mentioned above, but also unusual fatigue, sadness or disinterest in activities, withdrawing from friends, and lack of concentration. Their grades may begin to slip and they may spend more time isolated in their rooms. Yes, this isn’t really uncommon in the teenage years, but when paired with sadness, irritability, and the time of year, SAD may be the culprit. As with any change in our child’s demeanor or mood, it is always a good idea to consult with a physician. Children can obviously suffer from true depression, but if a doctor can pinpoint the onset and end of symptoms to the change in seasons, there is one treatment option for SAD that is much safer than antidepressants or other medications that may otherwise be prescribed for chronic depression. Specialists are finding that a completely safe treatment can do the trick – good news for concerned parents. Light therapy has been shown to almost eliminate the symptoms of seasonal affective disorder in kids. Light therapy boxes are a specialized product, so make sure you verify that they are the type for use in treating SAD. Your child’s physician or therapist can point you in the right direction. Light therapy begins with short exposure to the safe wavelengths of UV light, not the damaging ones that can cause skin damage. By slowly increasing the time of exposure, children can experience a swift change in mood. Positive mood can increase almost immediately, from as soon as a day, to a week or two of using the lightbox depending on the child. There are also some other habits that can decrease symptoms, both in adults and children. They are the good habits that all of us know we should be following because our bodies react to certain foods and activities in a positive way. Just like with the light of the sun, exercise and a healthy diet increase endorphins and feelings of pleasure in the brain. Yeah, we like a good donut or big bowl of pasta too, but almost all of us would rather feel healthy and energetic instead of tired and sluggish if given a choice. Other tips for both adults and kids to combat the symptoms of SAD? Getting outside, even when it’s cold and gloomy, can help. Managing stress and taking time to do an enjoyable activity also help. When home, let as much light as possible into the house during winter and keep a healthy sleep routine. Often going to bed earlier in the winter can help offset some of the feelings of the nights being so long. If you see that your child’s mood seems to change in the fall and winter, see a physician immediately. 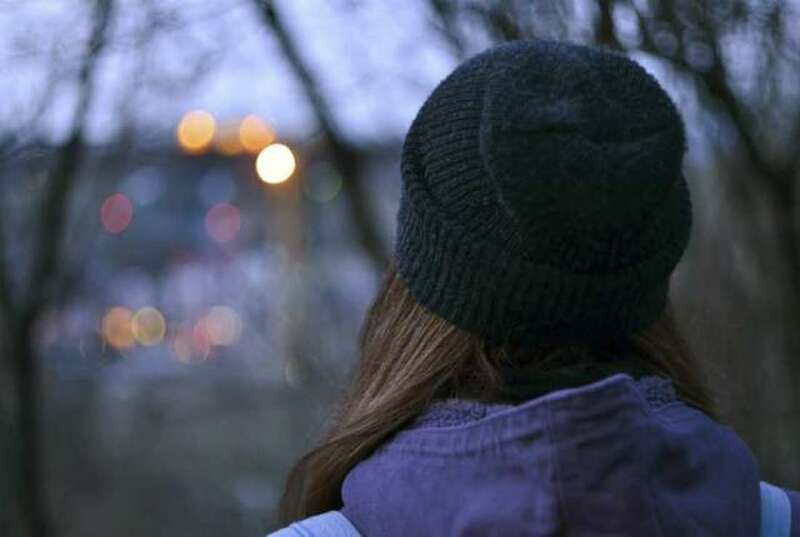 Interestingly enough, many adults who have chronic depression think they may have had seasonal affective disorder as a child or teen and no one picked up on it. Early diagnosis and starting an annual therapy routine with light exposure can prevent years of sadness and depression that could get worse over time. Do you think you have seasonal affective disorder? Have you noticed the same symptoms in your child or teen? Leave us your thoughts.